This is a truly appalling and criminally incompetent decision by Theresa May. Thirty odd years of indecision and delay in addressing our electricity requirements from both Labour and the Tories have led us to this ridiculous point. Yet again, party politics and our 4/5 year election cycle have been obstacles to logical and rational long term decision making. The technology of the proposed reactor is unproven. 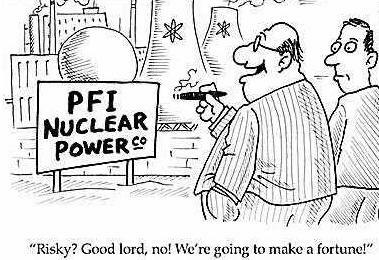 The PFI business deal is so stupid that EDF & China must be laughing all the way to their bust banks. Private Finance Initiatives (PFIs) first used by John Major in the 1980s, and then embraced by Blair & Brown, hide government debt from national statistics. A pathetic attempt to hide government’s financial incompetence. PFIs hide future debt from government borrowing statistics, a simple rule which could and should be easily be changed. 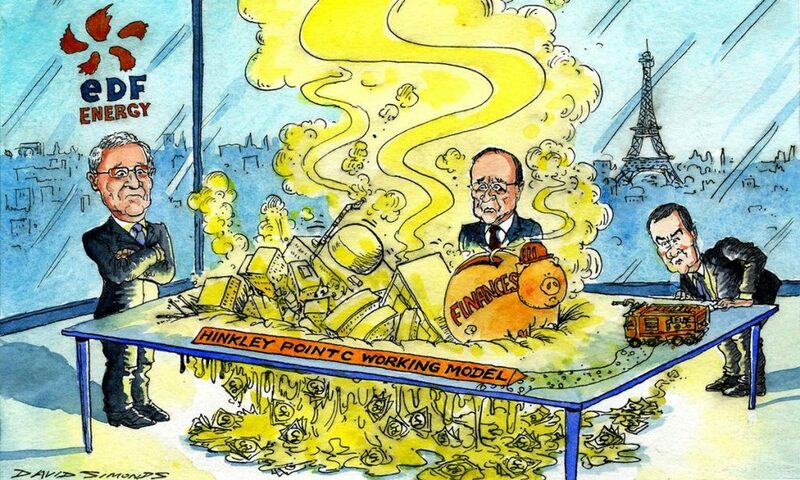 Money which could have and should have been invested in Britain’s decentralised energy future has been invested in China’s and France’s future instead. Our children & grand children are doomed to keeping China’s polluted, massively over-indebted, corrupt, and unjust country alive! Those who made this crap decision will retire on their huge pensions and be dead before the true ramifications will be felt in 30 years time. PFI: Private companies borrow cash cheaply to build infrastructure for government and then charge the tax payer way over the odds for decades to come. A cynically corrupt, financially inept and self serving way to provide new schools & hospitals which superficially makes politicians look good but costs the nation dear!